Hypertech is excited to announce the release of the new Max Energy 2.0 Power Programmer with TPMS Adjustment! Reprogram tire pressure monitoring system (TPMS) threshold when installing larger than stock tires. 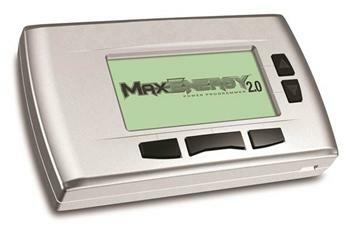 The new Max Energy 2.0 California Edition has the same Hypertech Power Tuning and adjustable options that are available in the standard Max Energy 2.0, but is only loaded with support for vehicles that Hypertech has received C.A.R.B. EO certification for.